In the beginning was the King, and the King was with a King, and the King was a King. He was with a King in the beginning. Chess is a story of 2 Kings, who are eternal. They cannot be harmed and are never captured. While every other piece may leave the board, the Kings never will. Since he cannot be hurt, he has no fear. He will capture any enemy piece who dares to threaten him, but he never runs. He deliberately moves only one square at a time in any direction he chooses. However, he is wise. He will not move into harm’s way and will get out of any trouble immediately. Since the King shows proper respect to the other King, he will give way when they meet. When the trouble gets too great he will lay down his kingdom to insure peace. The King can be triumphant when he receives the surrender, or he can be humbled when he lays down his kingdom. But sometimes the Kings just agree to a mutual peace. Which King will you be? You will have to play to find out! This was the twenty-fifth email game I played with my dad. I had about 3 years of tournament experience by now. However, I didn’t realize what I was up against. 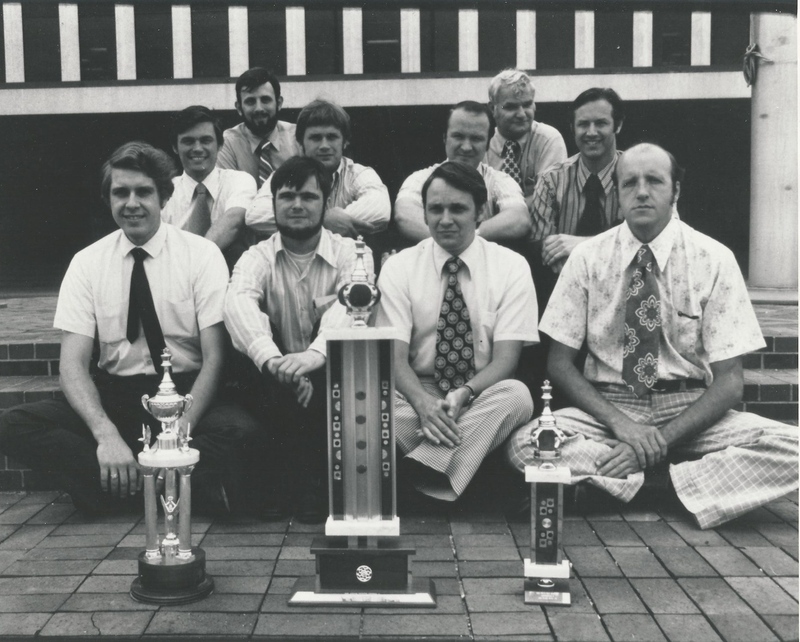 My dad had been caught up in the Fischer boom and was a regular on the Bell Labs chess team in the Chicago Industrial Chess League during the 1970s. I think I was still experimenting with black openings, as this is not an opening I play now. 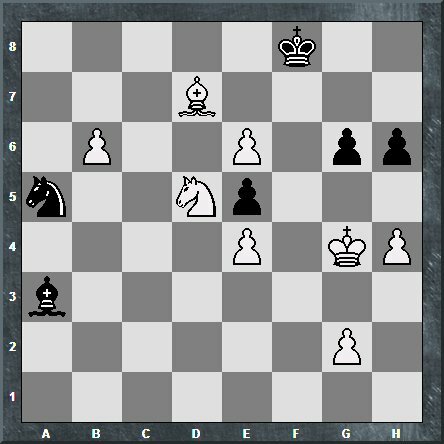 It is the Closed Ruy Lopez: Chigorin Defence (1.e4 e5 2.Nf3 Nc6 3.Bb5 a6 4.Ba4). In my database of 763 tournament games, this opening appears zero times, and in my 53-game match with my dad this was the only time I played it. Sometimes, a beating leaves a bad taste in your mouth. Allowing my dad control of the c file was a poor choice but trading off the Queens in an endgame where he could activate his King and mine was helpless had to be the final nail in the coffin. Answer: 51…h5+ Everything is bad, but this slows the King invasion down and might be your last shot to set a trap (51... h5+ 52.Kg5 Kg7 53. g3 Bc1+ 54. Nf4 exf4 55. gxf4 Ba3 56. f5 Bc1#). Wouldn’t that have been quite the comeback! 6. Re1 b5 7. Bb3 d6 8. c3 O-O 9. h3 Na5 10. Bc2 c5 11. d4 Nd7 12. Nbd2 cxd4 13. 20. a3 f4 21. axb4 fxe3 22. Rxe3 Qb6 23. Rec3 Kh8 24. Bd3 Ra8 25. Qe2 Ra7 26. 39. f3 Bb4 40. Qd3 dxe4 41. Qxe4 Qxe4 42. fxe4 Kg8 43. Nc4 Kf8 44. Ne3 a3 45. On June 10th, the Colorado Springs Chess Club started its annual June event: The June Mating Game. It is a 2-week event, and players can still jointhe final 2 rounds for $5 and receive a 1/2 point bye for the previous rounds. Jeff Fox and Daniel Herman won both their games and have jumped into the lead.